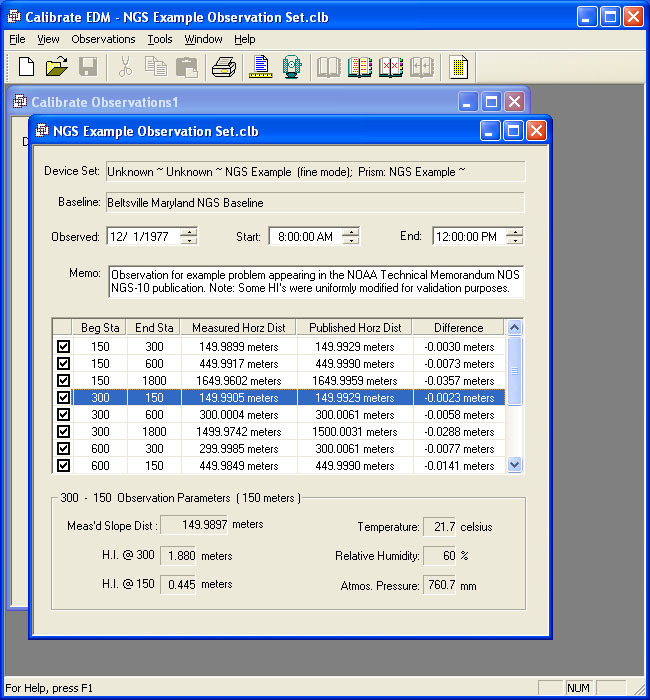 Calibrate is a FREE Windows based computer program written for measuring professionals, such as Land Surveyors, Photogrammetrists, Geodesist, Engineers, etc. for the purpose of testing and calibrating electronic distance measuring (EDM) devices against an NGS calibration baseline using a least-squares mathematical modeling process. The Windows GUI design for this product is specifically tailored to reduce the learning curve and speed of data entry by presenting the user with the ubiquitous Windows look and feel. Under the hood, Calibrate also provides the measurement professional with important benefits for adjusting and maintaining EDM devices in accordance with many local and municipal laws and regulations. Calibrate allows you to compare an EDM against a know baseline before and after a job and combine the comparison into one calibration to demonstrate the instrument was functioning properly throughout a given period of time and to comply with applicable state and federal laws. Calibrate allows you to store any number of different Electronic Measuring Devices as well as any number of NGS Baselines. Each time a new comparison is done for a saved EDM and Baseline, the results can also be saved and later recalled. In this way, calibrations can be compared and combined. The output from a calibration provides all the information necessary to fine-tune the EDM or identify when the device is being improperly used or used with incompatible prisms, etc.